I’ve lost count of number of people that told me not to spend any time in Johannesburg. Going against their advice I’m here for 3-nights before heading north to Ngala, a private game reserve that borders Kruger National Park. My first night in Jo’Burg was uneventful. Staying at the Brown Sugar Backpackers I was collected from the airport and deposited safely in the hostel complex. Some of the stories I’d heard about this city had obviously gotten to me – as I pfaffed for around an hour figuring out how and where to hide credit cards, passports etc in my private room, secured by thick steel grills on both doors and windows. I spent Sunday doing a city tour. We drove through the deserted CBD were apparently the government is negotiating with European businesses to re-open their offices in an attempt to breath some life back into the city centre. 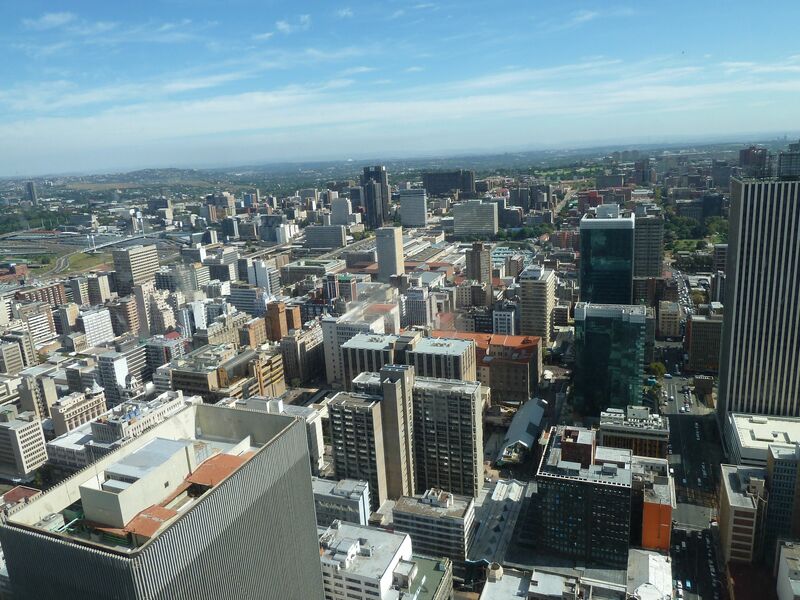 From the “Top of Africa” viewpoint we could see the whole city. The 2010 World Cup legacy is still strong with footballs as the ferris wheel compartments at Gold Reef City amusement park, football billboards everywhere and the 90,000 capacity Soccer City stadium looming large on the horizon. 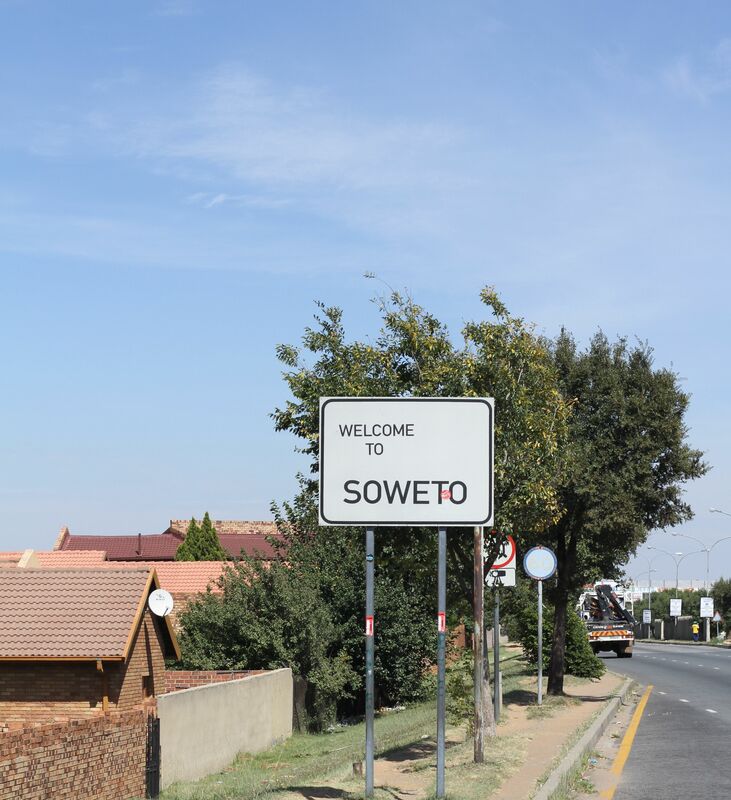 Leaving the CBD behind we arrived in Soweto, South Africa’s most famous township. On first impressions it could have been any suburb in Middle America or Western Sydney. The houses were brick, with satellite dishes and fenced gardens. Gone were the razor wire topped fences and CCTV cameras that were on every house in the street where I’m staying. According to our guide Chris, the Soweto community looks out for each other and if there’s a crime committed the community usually address it before the police can arrive. Those in Soweto’s moneyed class are known as ‘black diamonds’ and there are footballers, musicians and politicians all living in the township of 3.5million. Not all are as fortunate and the divide between “have’s” and “have not’s” in this community is almost as big as I saw in Nairobi, Kampala and Accra. At the poverty end of the spectrum unemployment, HIV and boredom are a vicious cycle. There are heaps of funeral services advertisements and with a 40% HIV rate, numerous shootings and car accidents they are much in demand businesses. 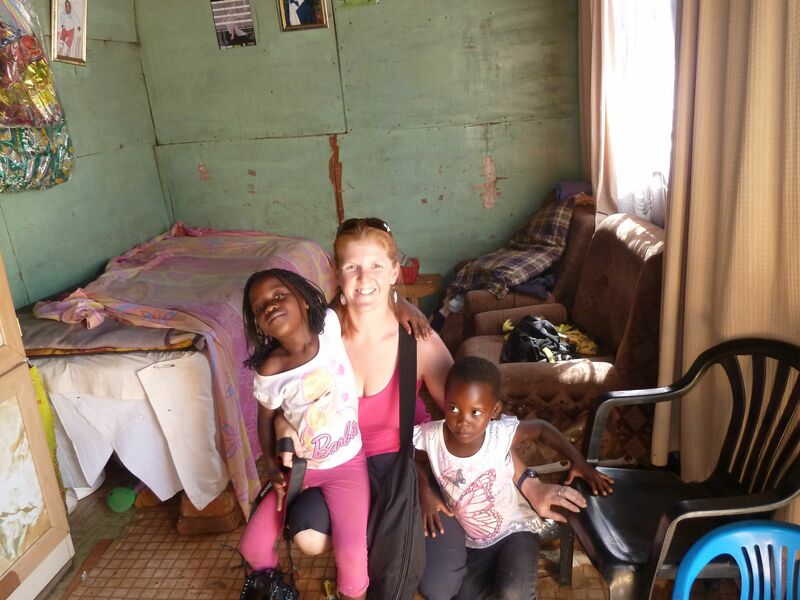 The only white people that live in Soweto are volunteers – mostly in the hospitals and schools – and despite a burgeoning tourism industry, we were still a novelty in our car and drew stares and comments from the locals as we drove through. We did a short walking tour through one of the poorer areas where many new arrivals try to find a place to stay. There is no electricity or running water and the residents use generators or solar panels to power their TVs and radios. It’s gas burners for cooking and most houses have a small veggie patch. We met one resident who lived in a two-room house with her husband and four children. The kids all slept in the kitchen/TV/Bedroom and the second room doubled as the master bedroom, communal wardrobe, pantry and storage room. What surprised me was the quality of the bed linen – everything was colour coordinated and the cleanliness of the entire space. They family have lived in the same house for 17 years and the mother has been looking for work the entire time. I asked her what she would like to do and she said “cleaning, anything”… if the state of her house was anything to go by, she’d be an excellent addition to a family needing domestic help. 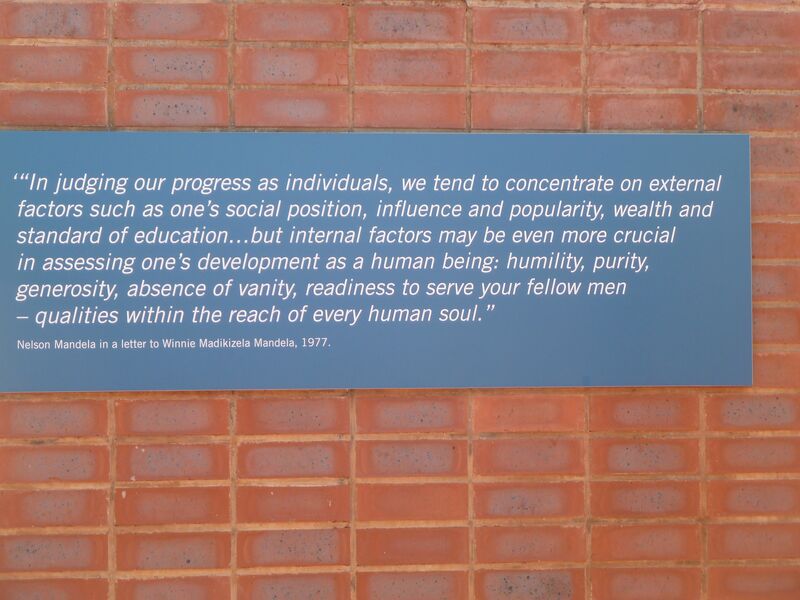 Before leaving Soweto we stopped at 8115 Vilakazi St, Nelson Mandela’s house, where the exhibits of original furniture, clothes and letters were only just overshadowed by the quotes written around the tiny home. Not far from Mandela’s house was the Hector Pieterson Memorial and museum. The museum’s photo, newspaper and video displays detail the events of 16th June 1976 when students of Soweto clashed with police during a demonstration against the change to teaching in Afrikaans in schools. After Soweto we went to the Apartheid museum. With impressive, modern architecture, this museum had me close to tears. After going through the ‘whites only’ entrance, the museum chronicles the political and social history of apartheid in South Africa. Using installations, photos, video and a huge amount of text the exhibits took around 2hrs to get through and I was mentally exhausted when I got back into the car. I haven’t been to any other museums this trip that have moved me as much as those in Johannesburg. At the end of the Apartheid museum, before the obligatory souvenir shop there’s a garden of reflection. This entry was posted in Uncategorized and tagged &Beyond, Africa, Apartheid museum, Brown Sugar Backpackers, Hector Pieterson Memorial, janeece keller, Johannesburg, journalism, Ngala Private Reserve, Ngala Safari Camp, South Africa, Soweto, Travel. Bookmark the permalink.